Find our free grammar and punctuation checker and corrector online to ensure that all of your writing will be totally error free. 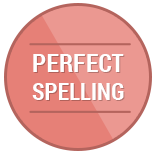 We provide you with the best free spelling grammar and punctuation checker and corrector to ensure you submit perfect writing. Use our free online proofreading tool today to eliminate errors. Why Do You Need a Free Grammar and Punctuation Check? No matter how good a writer you may be, you will always make mistakes when you write. The problem is that when we look for those mistakes they are almost impossible to spot in our own writing. But stand out like a sore thumb to others. Using free grammar and punctuation checker and corrector online, however, will ensure that none of those errors are able to slip through. A good free grammar and punctuation corrector should always be used on all of your writing. After all, it will cost you nothing and takes only a few minutes of your time. Our free online grammar and punctuation corrector for students and professionals alike can ensure that your writing will always be free of any errors as well as helping you to improve your writing and vocabulary. 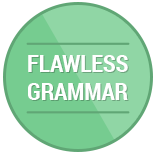 Who Should Use Our Free Grammar and Punctuation Checker and Corrector Online? Students: we provide the best free spelling, grammar and punctuation checker and corrector for students no matter where they are in their education. Poor writing leads to poor grades and our specialist tool will help you to gain the better grades that you deserve by correcting all of your academic writing. Professionals: poor writing is usually ineffective whether you are talking about marketing materials or proposals. Your reputation is on the line when you submit writing that is less than perfect, our tool, however, can ensure that you only use writing that is spot on. Job hunters: most recruiters will simply discard a resume that has any mistakes in it. If you were really interested in the job you would have taken the time to check the writing to ensure that there were no errors within it. 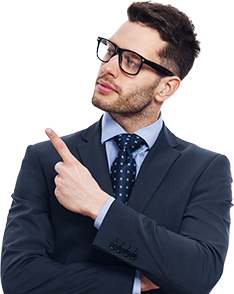 Our software will provide you with a rapid check to ensure that you do not provide them with an easy excuse to look at another applicant. Bloggers and webmasters: many search engines will review your writing and will penalize it within the rankings if the writing is poor. Your visitors will also not be very impressed if there are mistakes in your webpages. Our service will help you to overcome these issues. Those that speak English as a second language: if English is not your native tongue writing can be especially tough. Using our free online grammar and sentence structure checker can help you to not only submit papers that are correct but also help you to improve your English. Why Should You Use Our Online Site That Fix Punctuation Errors in a Paper? Free: you will not be charged a single cent to use our tools to check your work. This tool is completely free no matter how many times you want to use its powerful features. Quick: it will take you only a few seconds to paste in your text and have the tool provide you with its full check of your writing. No limits: you will be able to use this tool as often as you like and for any length of writing. So you can check anything from a short assignment essay through to a manuscript for a book. No downloads required: you can use the tool online 24/7 if you want, or you can use the app to do checks on your writing in real time as you write. What Can Our Free Online Grammar and Sentence Structure Checker Do for You? Fixing punctuation: if you want something to “punctuate this sentence for me online” then our tool is the right thing to use. From proper comma placement to the proper use of apostrophes this tool can ensure that your punctuation will always be precise as required. 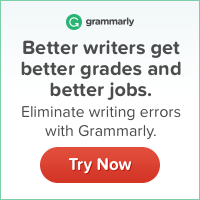 Grammar correction: the tool checks for more than 400 different grammar rules and will ensure that your writing is raised to the right standard. Spelling and vocabulary: the tool is able to correct any spelling mistakes as well as suggesting alternative words that you can use. 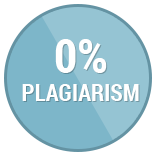 Plagiarism testing: the tool will check online to ensure that your writing will be seen as completely unique. How Can You Use Our Online Tool? Copy and paste your text: just place the text you want checking into space on the tool to start the process. The algorithms quickly check your writing: the software will work through your writing to check for any errors to correct as well as suggesting improvements. Review the text: work through the corrected text and select any suggestions that you wish to implement. Paste the corrected text back into your document. Make full use of our free grammar and punctuation checker and corrector online to ensure your writing is perfect.